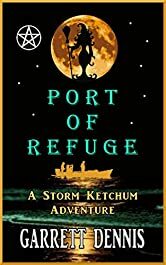 Garrett Dennis's PORT OF REFUGE is his second novel in his Storm Ketchum series. 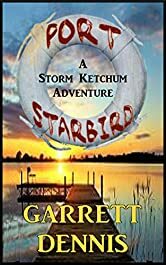 This novel picks up with Storm Ketchum, "Ketch," showing off his new houseboat and his lover, Kari, who is moving in with him. Everything seems to be in perfect harmony. However, when Kari's aunt passes away and a will is found giving all her assets to a Wiccan coven, things become weird. Something seems off. 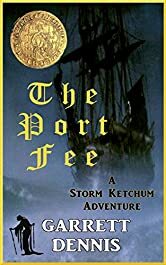 Ketch's sleuthing bug bites again, and he finds himself thrown into a world of the Dark Web, hitmen, witches, and drugs. However, it appears Ketch may have bitten off more than he can chew this time. The coven's High Priestess, Samantha, is sly and ruthless. She will stop Ketch at all costs from figuring out what the coven's true motivations are. Thus ensues a showdown of intellect and persistence. "Dennis is brilliant with his descriptions. He beautifully describes the Outer Banks area, not only detailing its physical beauty and peacefulness, but also delving into the history of the area. 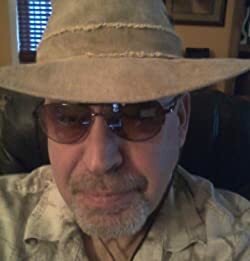 Whereas some authors can become a bit tedious in the details, Dennis' information is interesting and adds to the story - similar to what John Berendt's Midnight in the Garden of Good and Evil does with Savannah, Georgia."